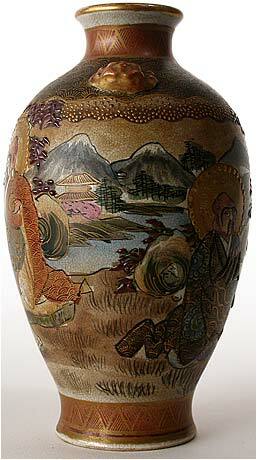 A popular motif during the Showa Period (1928-1934) of Satsuma earthenware, five Rakan sit in the late afternoon amongst a backdrop of mountains and temples. 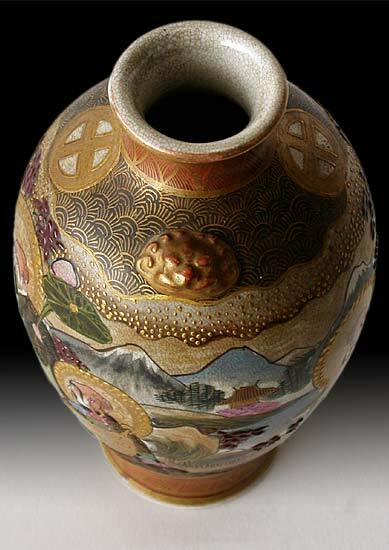 Cream colored crackled with polychrome translucient glaze and gold trim, with a raised finish on much of the painted surface gives this piece a particular tactile quality, gorgeous pale colors abound in the complex and artfully drawn composition of the scene. 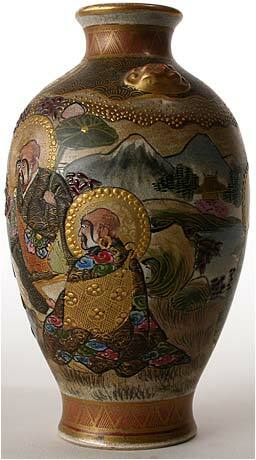 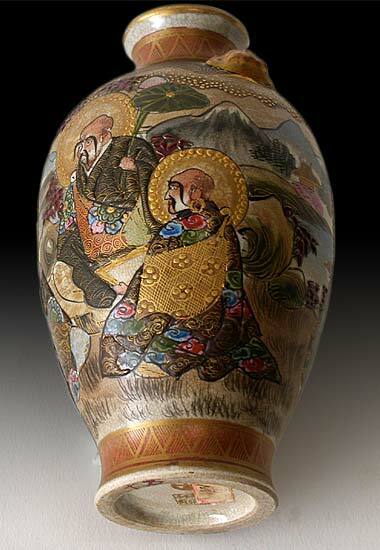 Nearing the summit of the vase, two Kara Shishi protrude from a black and gold cloud pattern. 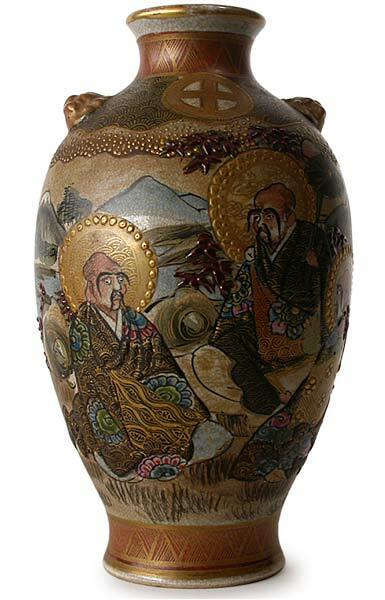 Also appearing are two circles with crosses through the middle; the family crest of the Shimazu family, and an emblem this is commonly found on most Satsuma pottery made after the mid-1800’s. 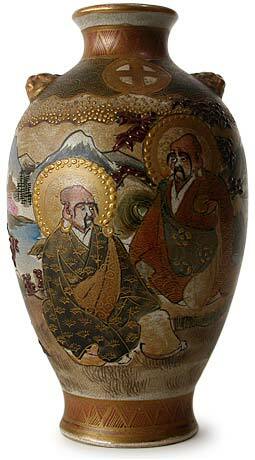 Both pieces are in excellent condition, and stamped with their manufactures’ seal and serial numbers, This one reading ‘Satsuma Chikuzan’; 15.